No other book is as important as the Bible and Christians need to make an effort to understand it, the Rev. Billy Graham advises. When asked for tips on how to better understand the Bible, the evangelical pastor said the Holy Book is the most important text to understand in the entire world, "because it is God's Word — God's message — to you, and to all humanity." Graham then goes on to give advice for beginning to explore the Bible, suggesting that a first-time reader not start at the beginning, but rather start with one of the Gospels in the New Testament, adding that he often recommends John. "I suggest you begin with the Bible's center or focal point, which is Jesus Christ. All the Old Testament points forward to Him, and all the New Testament tells us about Him. He came down from Heaven to forgive us and make us part of his family forever — and through the Bible we discover this great truth," Graham wrote, adding a reference to John 20:31 that states the Holy Book was "written that you may believe that Jesus is the Messiah, the Son of God, and that by believing you may have life in his name." The reverend further suggests that a first-time Bible reader should select a translation of the Bible that they personally understand. Graham said that before beginning to read, "ask God to help you understand what you read." "In this way you'll learn who Jesus was and what he did. But more than that, you'll discover that God loves you," the Baptist minister concluded, adding that the Bible is a "great gift." "God wants to give you an even greater gift: Jesus Christ. Invite Jesus to to come into your life today.". In a question posted to the "My Answers" section of the on the Billy Graham Evangelistic Association's website asking if the Bible needs an update for the 21st century, the religious leader responded by saying the Word of God will never need an update because "it tells us truths about ourselves and about God that will never change." "The Bible should be the most exciting book you'll ever read! The reason is, this isn't just another book; it is God's Word, and through its pages God speaks to us. Think of it: The Creator of the universe wants to talk to you!" Graham explained. The preacher goes on to say that Christians must "humbly ask God to make [the Bible's] meaning clear" during their reading. "Most of all, ask God to help you apply its truth to your life, because 'Your Word is a lamp for my feet, and a light on my path,' Psalm 119:105). Don't let your pride or anything else keep you from Christ, but by a simple prayer of faith open your life to his transforming power." 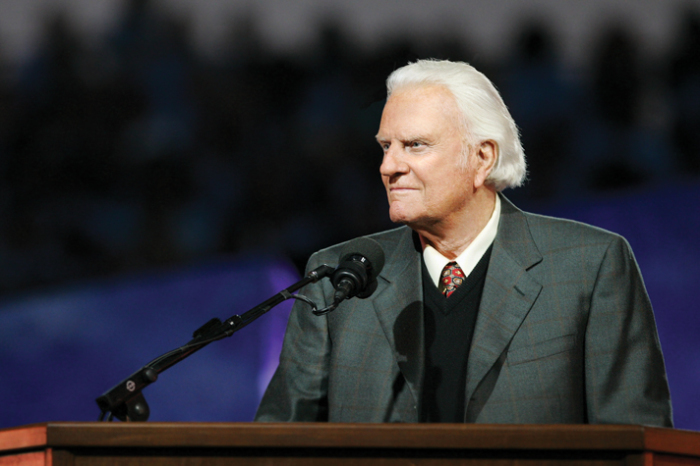 Graham, 97, is a world-renowned evangelical preacher and the father of Franklin Graham, president of the Billy Graham Evangelistic Association.